In addition to designing a fresh aesthetic, we implemented a map search and our custom IDX functionality for effortless property browsing. Another goal was to optimize their site copy and solidify the brokerage as an expert authority on Nashville, which we accomplished by drafting high-quality, original copy for their many neighborhood pages. To better support their team of more than 150 agents, we simplified their backend system to provide a more user-friendly experience for sharing announcements, calendars, documents and vendor recommendations. We also streamlined the structure of their agent profiles pages to make them more consistent and cleanly formatted across their team. 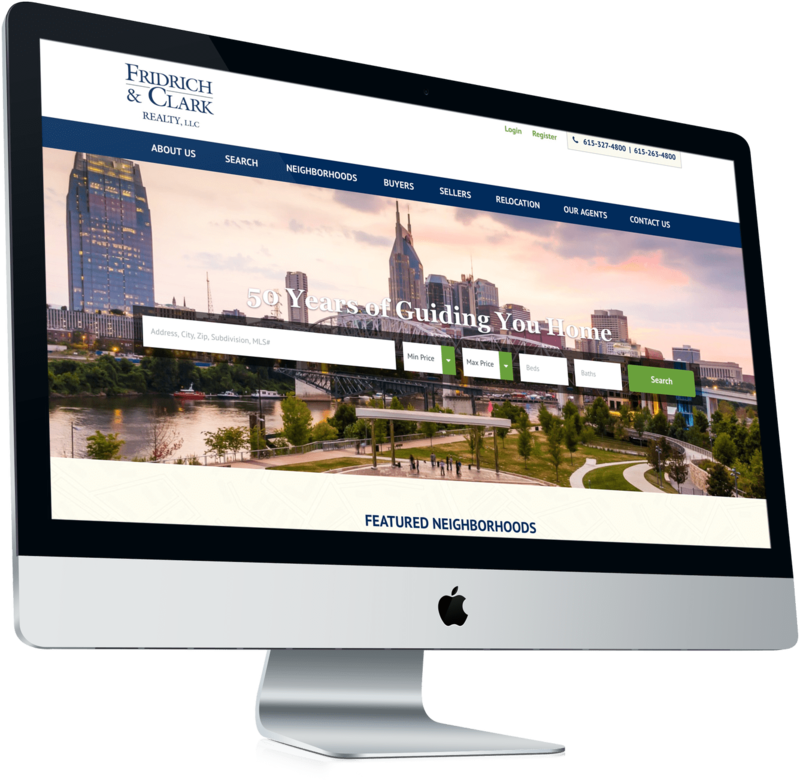 With such an attractive and user-friendly site to bolster the success of their team, Fridrich and Clark Realty is well positioned to meet the unique challenges of today’s real estate landscape.